Mida has released an upgraded version of their Mida converter tool. Mida Studio will take a VCL project and convert it to Delphi XE7 Firemonkey. We’ve covered two prior versions of it and it seems to be progressing nicely. What it actually does is it creates a new project and then replaces the VCL components with corresponding FMX components. It also makes changes to the code like it will convert a VCL TButton.Caption to a FMX TButton.Text. It looks like there is some additional support in this version that lets you convert a VCL application into an IntraWeb application (the same way as it does to FMX). It supports converting other things too like BDE to FireDAC as another example. It even has support for third party components like converting from TMS Cloud Pack VCL to TMS Cloud Pack FMX. Another interesting feature is it’s ability to convert from a VCL application to a Firemonkey application but instead of the Firemonkey controls it will convert to DPF IOS, DPF Android, or TMS iCL native controls. This is a commercial tool but a basic version of Mida usually is available for free with XE5, XE6, XE7. The real power is in the Mida Studio version which has all of the total conversion capabilities listed above. Overall Mida can really help take the work out of modernizing your applications and helping you bring them to mobile and the web. 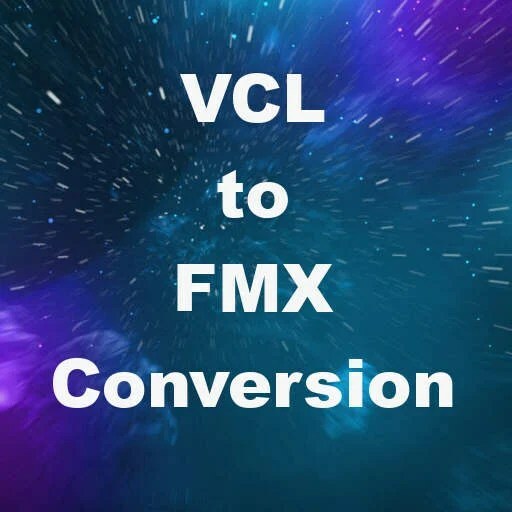 Head over and check out all of the features of Mida Studio VCL to FMX Converter for Delphi XE7 Firemonkey. You can check out the release notes for this latest version of Mida Studio here.